LUGOGO –KCCA FC head coach Mike Mutebi will have a near to full strength squad to choose from on Thursday. Only midfielder Julius Poloto who is expected to be out for a while will be absent for the Kasasiros. For Vipers, they welcome back the trio of Fabien Mutombora, Karim Niyizigimana and Livingstone Mulondo who have all recovered from respective injuries. Bashir Ssekagya and Geoffrey Wasswa will remain absent as they are nursing long term injuries. The duo of Tito Okello and Bashir Asiku will also be unavailable as they are still serving a club suspension over indiscipline cases. With only five games to play in the season, the game on Thursday is viewed as a potential title decider. KCCA FC go into it top of the table and leading second placed Vipers by four points. However, Vipers would blow the race wide open if they can defeat KCCA at Lugogo on Thursday. Victory for the Venoms would see them move to within a point of the Kasasiros with 12 (points) more to play for. These are the two best sides in the country without a doubt and them equally sharing the last four league titles sums up how a two horse race this league has become. Mike Mutebi, KCCA FC head coach. “We are playing against one of the best sides in the country and our title rivals. “Defeating them will see us edge closer to the league crown and i know i have the players for the job. “We have had a good run in the last couple of months and my players will be eager to continue that. Tadeo Lwanga, Vipers SC Captain. “It’s a tough game which requires teamwork but we have been in such situations numerous times and came out unscathed. Everyone at the club is looking towards this game with total focus therefore dying on the pitch is the only option as we know what victory means to our ambitions. This will be the 19th meeting between KCCA FC and Vipers since October 2011. In the past 18 meetings in that period, KCCA have won 7, Vipers won 9 with the other two ending in draws. Vipers were the first side to defeat KCCA at the new Lugogo, beating them 2-1 back in April 2017. The reverse fixture last season ended in a 3-2 victory for the Kasasiros. 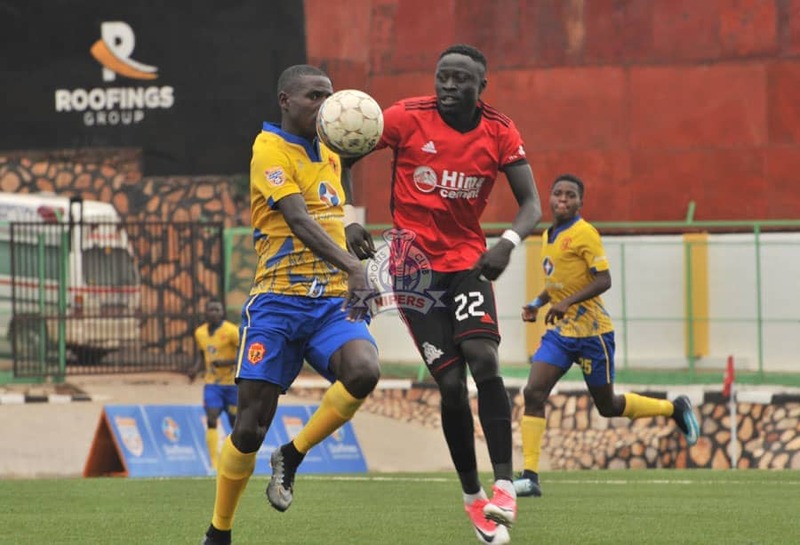 In the first game this season, the two sides drew 1-1 with KCCA’s Saddam Juma missing a late penalty in the game at Kitende. KCCA FC go into the game having lost only one of their last 13 league games (W8 D4). The only loss in that period was when URA FC came to Lugogo and beat the Kasasiros 2-1 on 26th of February. At home, Mutebi’s side have lost only once in the last 30 fixtures (W24 D5). ). Both losses in that period have come in their last 7 games, losing 3-1 at home to SC Villa and 2-1 away to Ndejje University. Away from home, the Kitende based side have lost only one of their last 19 games (W9 D9).